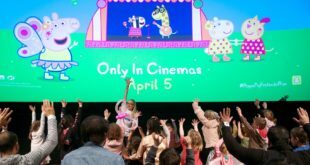 Magic Light Pictures has secured a one-year on-pack promotional and marketing partnership for the hit pre-school brand the Gruffalo with Arla Big Milk. Launching on pack this month, the campaign will run across the grocery retail sector and will feature monthly prize draws and chances to win Gruffalo prizes. 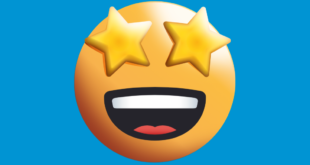 These include explorer packs and mini breaks at Chessington World of Adventures Resort. Winners will be able to stay in one of the resort’s Gruffalo bedrooms and take the chance to explore the deep dark wood on the Gruffalo River Ride Adventure. 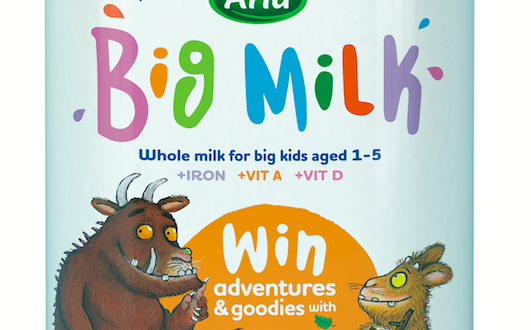 Arla Big Milk is also working with Mumsnet to showcase the Gruffalo and Arla partnership online. 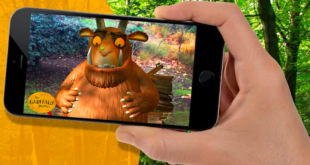 To inspire parents to get creative and cook with their kids, Arla has also worked with Mumsnet to create recipe videos taking inspiration from the Gruffalo cookbook.